Seeking to block the state of Texas from implementing new abortion regulations, plaintiffs representing abortion providers argued Monday in a federal court that the state’s law violates the constitutional right of women to access the procedure. But the state’s attorneys defended Texas’ right to enact laws that advance protections for the life of a fetus. Given the significance of the law, Yeakel said he'd like to make a decision as soon as possible after arguments conclude. The plaintiffs, who represent the majority of abortion providers in Texas, including four Planned Parenthood affiliates, Whole Woman’s Health and other independent abortion providers, asked the court for a preliminary injunction to block the implementation of two provisions in House Bill 2 that would take effect Oct. 29: a requirement that doctors who perform abortion have active admitting privileges at a hospital within 30 miles of the facility, and that doctors follow the FDA regimen, rather than a commonly used evidenced-based protocol, for drug-induced abortions. The plaintiffs argued that both of these provisions present an undue burden on women attempting to access abortion and are therefore unconstitutional. The attorney general’s office argued that these provisions were not approved just to protect the safety of the mother. They were also enacted to advance the state’s interest in promoting and protecting fetal life, state Solicitor General Jonathan Mitchell said at the hearing. The burden of proof lies on the plaintiffs, Mitchell said, as the U.S. Supreme Court’s ruling in Casey v. Planned Parenthood allows the state to enact laws that advance its interest in protecting fetal life, so long as it does not create an undue burden on the patient. The court could not overturn the provisions in whole, he argued, because a severability clause in the law requires doctors and patients who believe their constitutional rights have been violated by the law to individually seek exclusion from its provisions. Mitchell also argued it was not possible to prove — as the plaintiffs allege in the case — that one in three abortion facilities would not be able to perform abortions or that 22,000 women would be prevented from accessing the service until the law took effect. Yeakel recognized the divisiveness of the issue and said he expects whichever side is disappointed with his ruling to appeal the decision, probably all the way to the U.S. Supreme Court. “I would be shocked if whoever was displeased by my ruling did not appeal,” he said. During the first day of the trial, the plaintiffs presented testimony from three of the five expert witnesses they plan to call. The trial will continue on Tuesday at 9 a.m.
“Currently, there’s no abortion clinics west of I-35 that will be able to perform this service,” because doctors at those facilities do not have admitting hospital privileges, testified Dr. Paul Fine, the medical director for Planned Parenthood Gulf Coast and Planned Parenthood Center for Choice. Hospitals are not required to grant those doctors privileges, and the plaintiffs said they found that a third of existing abortion facilities would not have a doctor with admitting privileges on Oct. 29. As a result, they argued women would no longer be able to access abortion services in Lubbock, Fort Worth, Waco, McAllen, Harlingen and Killeen. Although he has admitting privileges at Ben Taub hospital in Houston, Fine said that in the case of an emergency, it is unlikely he would be called to treat a patient. Women would most likely be taken to the closest facility, which may not be the facility that the abortion provider has privileges at, he said, and then receive treatment from emergency medical staff and the doctors on call for obstetrics and gynecology. Following the FDA regimen for abortion-inducing drugs isn’t unsafe, but it is less effective and has more side effects than the evidence-based protocol followed by most abortion providers, said Fine, who participated in the FDA’s clinical trial for Mifeprex, the abortion-inducing drug. He said the FDA regimen requires three pills, instead of one — at a cost of $90 per pill — and shortens the time limit on medical abortions by two weeks to 49 days gestation. The evidence-based regimen also adds the use of antibiotics to prevent infection. More than 1.75 million women have had drug-induced abortions since the FDA approved the Mifeprex for abortion in 2000, said Fine, and only eight women have died of an infection related to taking the drug. Given the rate of death associated with the medication, he said, it is safer than penicillin. John Scott, one of the state’s attorneys, questioned Fine's qualifications as an expert witness. He presented state-required induced forms that doctors must fill out in cases with complications that indicated some patients have experienced medical problems, such as infection and continuing pregnancy, within 14 days of having a medical abortion. Scott argued that it is therefore medically necessary — as the FDA regimen requires — for a patient to return within that timeframe to be checked for complications. In response to Fine’s assertion that some abortion doctors were afraid to apply for hospital privileges, Scott said that Texas has an anti-retaliation statute that stipulates that a hospital or health care facility may not discriminate against a medical staff members’ willingness to participate in an abortion procedure at another facility. Fine said that provision had no bearing on physicians applying for hospital privileges, because the hospital does not have to indicate why they were denied. Based on the past six years of data, Fine said he believed that medical and surgical abortions are equally safe. There were no deaths among the more than 500,000 documented medical abortions that followed the evidence-based protocol, in which antibiotics were prescribed with the abortion inducing drugs, he said, pointing to research presented at the North American Forum for Family Planning earlier this year. Dr. Jennifer Carnell, an emergency physician at Ben Taub General Hospital in Houston, also testified on behalf of the plaintiffs that she doesn’t believe that requiring hospital privileges would improve an abortion patient’s quality of care. In the past nine years, Carnell said she’s seen fewer than 10 patients come to the emergency room suffering complications from abortion. Fewer than half of them were admitted to the hospital. The patients had pain and some vaginal bleeding, but none of them were critically ill or in need of an intensive care unit, she said. All of them received pain medication, and some were given intravenous fluids. In one case, she also gave antibiotics to a patient who may have had an infection. “They weren’t unusual or atypical, so I felt comfortable treating these women,” said Carnell, adding that she was able to consult the obstetrics and gynecologist specialist on call. Requiring doctors to have hospital admitting privileges is unnecessary, she said, because emergency room physicians are comfortable treating hemorrhage or sepsis, the most serious complications associated with abortion. She added that some patients might feel compelled to travel a longer distance to the hospital in which her abortion provider had privileges, but it would be safer for the patient to go to the nearest emergency care facility, which would be equipped to provide care. Scott asked Carnell if a patient would receive worse care if her doctor had privileges and she went to the hospital. “I’ve never had a provider come to the emergency department,” said Carnell, but so long as the provider did not obstruct emergency room protocols, she did not think a patient would receive worse care if her abortion doctor had admitting privileges and came to the hospital with her. Scott also pointed to an article that reported that 80 percent of medical errors involve miscommunication between caregivers when patients are transferred. Carnell said it is rare for doctors who provide outpatient procedures to coordinate emergency care for their patients. Sometimes she or her staff will try to reach doctors whose patients have come to the emergency room, but it can be more difficult. “The number of people likely to be seeking abortion after implementation [of HB 2] will greatly outstrip the capacity for the provision of abortion care,” Dr. Joseph Potter told the court. He is a sociology professor and demographer at the University of Texas and principle investigator of the Texas Public Policy Evaluation Project, a three-year study evaluating the impact of the 2011 state budget cuts to family planning services. 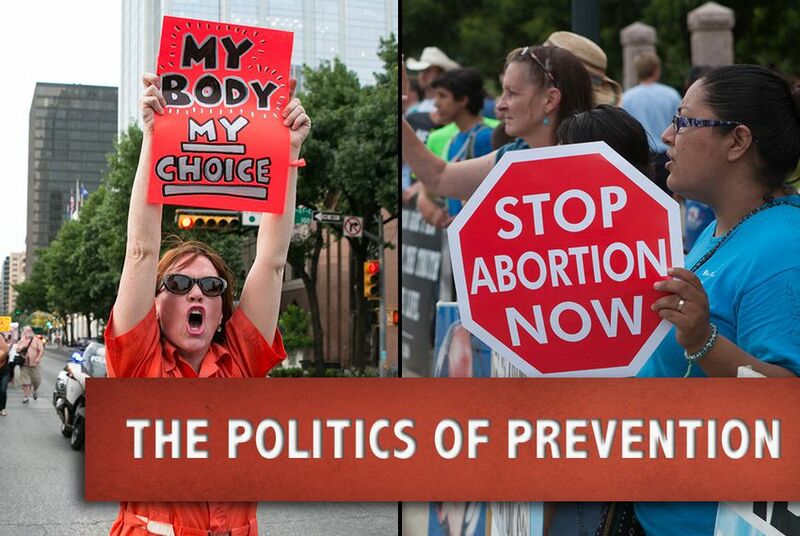 Potter explained that TxPEP researchers calculated roughly 22,200 women seeking abortions would not be able to access the procedure if HB 2 were fully implemented, given the capacity and locations of abortion facilities that would be available. According to their research, 18 counties in Texas had at least one abortion facility in 2011, but only seven counties would have an abortion provider available if HB 2 were fully implemented: Bexar, Dallas, El Paso, Harris, Jefferson, Nueces and Travis. If the law took effect, the number of women who would have to travel more than 100 miles to reach an abortion provider would double, said Potter. He said it is unlikely that new providers would open facilities or that existing providers would expand capacity, because it is difficult for medical providers trained in abortion care to exercise that specialty, and it is difficult for abortion facilities to recruit new doctors. If a facility loses an abortion provider, because the doctor does not have hospital admitting privileges, “that clinic stops receiving money, but it does not stop receiving bills for the rent, and it has to continue to pay staff or let staff go,” he said. For example, he said, when family planning clinics in Texas stopped receiving financing in 2011, because of the state budget cuts, 76 family planning clinics closed and only one or two have reopened. “Closures have consequences in terms of economic viability of returning to provide services,” Dr. Potter said. Scott said in his cross-examination of Potter that ultimately abortion clinics are businesses. He also pressed Potter to articulate the names of the clinics he says would close, and other specific information related to his research. Potter said he could not name the clinics that would close, and said much of his testimony was based on information compiled by other researchers associated with the project.